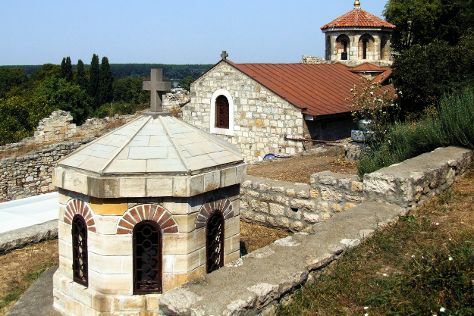 Step off the beaten path and head to Saint Petka's Chapel and Crkva Svetog Marka. Change things up with these side-trips from Belgrade: The Clock Tower (in Petrovaradin), Sremski Karlovci (in Sremski Karlovci) and Dunavska Street (in Novi Sad). The adventure continues: make a trip to Zemunski kej, brush up on your military savvy at Military Museum, take in the spiritual surroundings of Cathedral Church, and let your taste buds guide you at a local gastronomic tour. To find traveler tips, where to stay, ratings, and more tourist information, read our Belgrade online tour itinerary planner . In October, plan for daily highs up to 20°C, and evening lows to 9°C. Cap off your sightseeing on the 20th (Sat) early enough to travel back home.